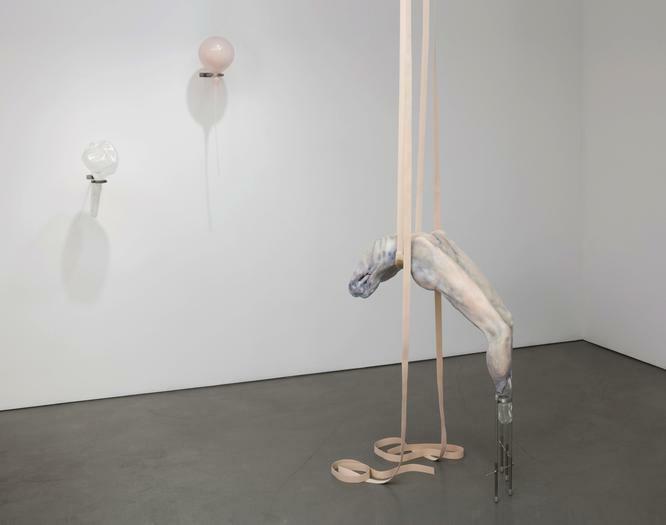 Andrea Rosen Gallery is pleased to announce Without A Body, featuring the work of Ivana Bašić, Sable Elyse Smith and FlucT (Sigrid Lauren & Monica Mirabile). The exhibition is curated by SIGNAL, and is the first in a series of exhibitions at Gallery 2 that will be curated by artist-run spaces and collectives. The body is the boundary point of overt social control – something that can be worked, borrowed against, confined, a unit that can be processed. 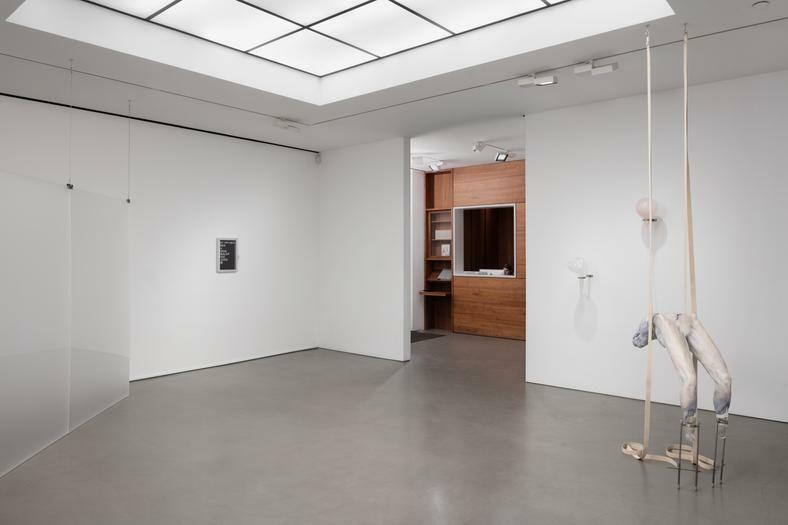 The artists in this exhibition share a concern with the body as the locus of dispute between the world and the self, in conflicts both physical and psychological, and the ways in which the systems of social control through which our bodies must move work within and without us. 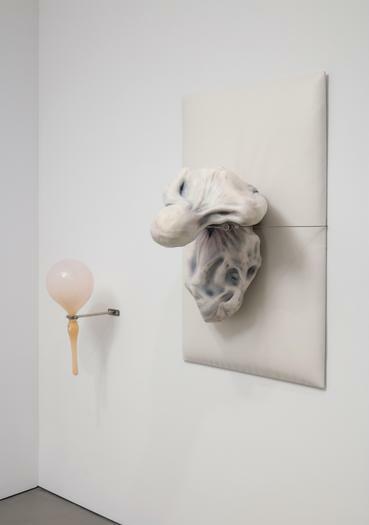 Serbian-born artist Ivana Bašić 's sculptures frequently depict ambiguously biological forms, contorted figures of wax and silicone with shiny, bruised skin. These segmented bodies are made the more alien by their incompleteness – legs without feet, arms without hands. 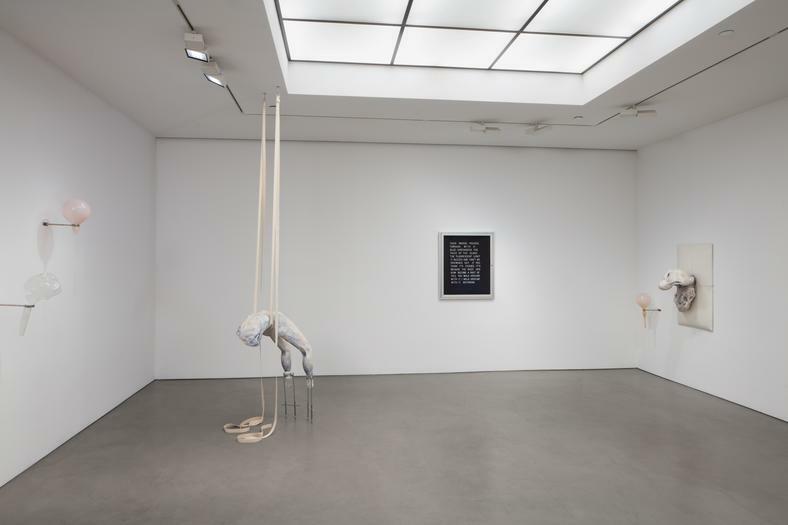 Bašić’s figures appear to be acted upon by forces of enormous violence, and seem to visualize the fragility of the body as an organic carrier for something else. Through video, sculpture, photography and text, Sable Elyse Smith probes the trauma of incarceration as it has related to her own family and history, and the ways these same traumas have been writ-large in America as a result of mass incarceration. Here, Smith’s sculptures present her short lyrical texts within institutional signage, the changeable letter boards that typically advertise visiting hours or church announcements. FlucT is the collaboration between performers Sigrid Lauren and Monica Mirabile, who create highly charged choreographic works exploring social control and power dynamics enacted upon the body. Their “violently intimate” dance practice frequently sees their bodies colliding and entangling, and the two artists locked in confrontation with the audience and each other. Ivana Bašić (b.1986) completed her M.P.S. at the Tisch School of the Arts, New York University, in 2012. Recent exhibitions including her work have been held at Annka Kultys Gallery, London; Gallery Diet, Miami; Gillmeier&Rech, Berlin; Martos Gallery, Los Angeles; Rod Barton, London; and 820 Plaza, Montreal, Canada. Basic’s work is currently on display at the Whitney Museum of American Art, New York in Dreamlands: Immersive Cinema and Art 1905-2016. Bašić lives and works in New York. Sable Elyse Smith (b.1986) has completed studies at Oglethorpe University, Atlanta, Parsons the New School for Design, New York, and the Skowhegan School of Painting & Sculpture, Madison, ME. She has performed at the Museum of Modern Art, the New Museum, Eyebeam, and Yerba Buena Center for the Arts, San Francisco, CA. 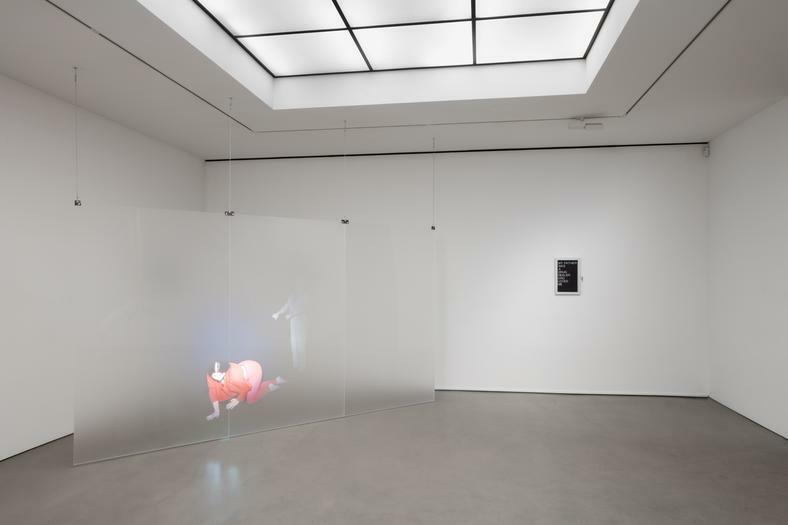 Her work has also been screened at Birkbeck Cinema in collaboration with the Serpentine Galleries, London, Artist Television Access, San Francisco, and MoMA PS1, New York. Her writing has been published in Radical Teacher, Studio Magazine and No Tofu Magazine and she is currently working on her first book. She lives and works in New York and is currently part-time faculty at Parsons The New School for Design. FlucT is the collaborative work of two artists, Monica Mirabile, (b.1988) and Sigrid Lauren (b.1986), addressing issues in the capital obedience of American culture through choreography and performance. Creating original narrative soundscapes linking a manipulated pop music psychosis with violently intimate dance, their composition is a projection driven to expose the psychology of this social paradigm. FlucT’s work has been reviewed by FADER, New York Times, Vice’s Creators Project, Paper Magazine, among others. Their work has been shown at the Queens Museum, Moma Ps1 and Maccarone Gallery. They produce large scale choreographed productions (Solar Solipsis, TransValue, ModelHome), collaborate with musicians including Blood Orange, Pictureplane and MNDR, as well as run Otion Front Studio, a performance/dance space in the neighborhood of Bushwick in New York.